This is a sponsored post written by me on behalf of Tritan™ from Eastman However, all content and opinions are entirely my own. Please see my disclosure policy. My J.C.’s sensory processing challenges and anxiety have lead to him being an extremely selective eater. 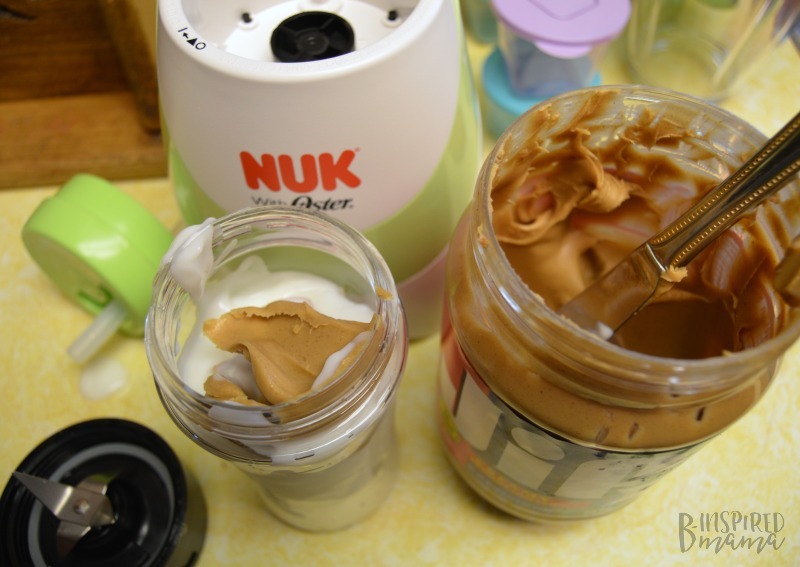 I say “selective” instead of “picky,” because this goes beyond typical picky eating. I’d say he has fewer than 15 foods he will eat. With preferences are as strict as specific brands, temperatures, and shapes. But, on his “approved list” are lots of fruits and vegetables, which are healthy choices, of course. Just not much protein, aside from yogurt, milk, and one very specific drive-thru nugget choice. While this makes my own mama anxiety sky-rocket, the doctors don’t seem worried a bit. “He’s ‘on the charts’ for growth,” they assure me. So, we muddle along, trying not to make food a power struggle. But that doesn’t mean I stop trying to get more protein and nutrients in him. And I think I found one solution to getting some protein, calcium, and nutrients in him on upcoming Kindergarten mornings. 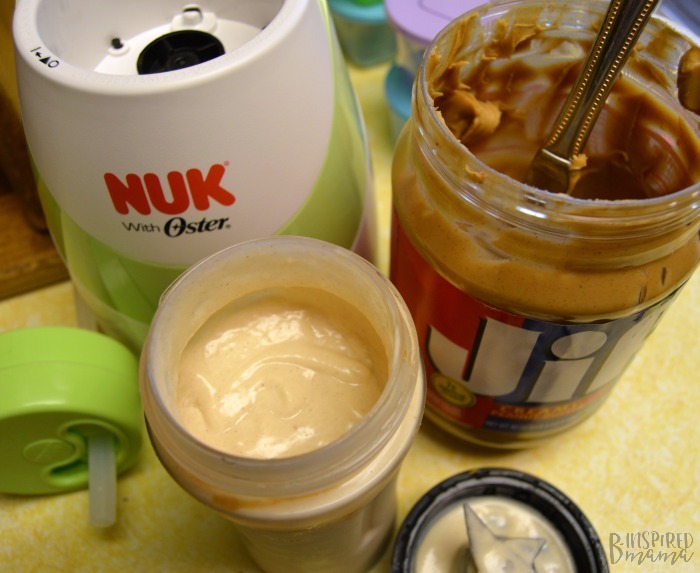 to try out, and it’s perfect for making J.C. his own peanut butter smoothie. It’s designed especially for moms and their kids and features components made with Tritan™ plastic. Tritan™ plastic looks like glass, but it’s actually lightweight, dishwasher-safe, and free of bisphenol A (BPA) and other bisphenols, such as BPS. No worries about making and serving kids’ smoothies and baby food with this plastic! 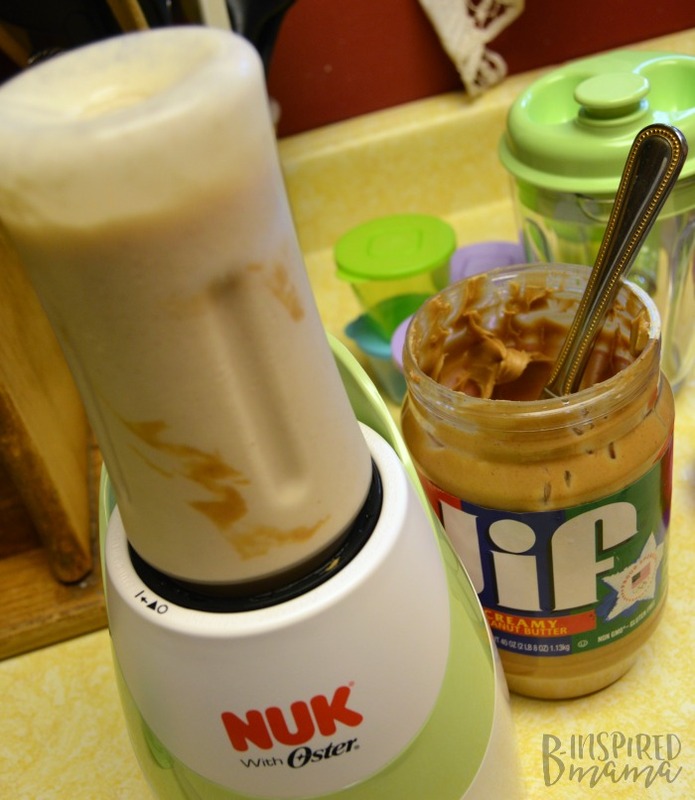 makes this so easy, because it includes a smoothie cup which attaches to the blender to blend your ingredients right in the cup. Less dishes. Score! 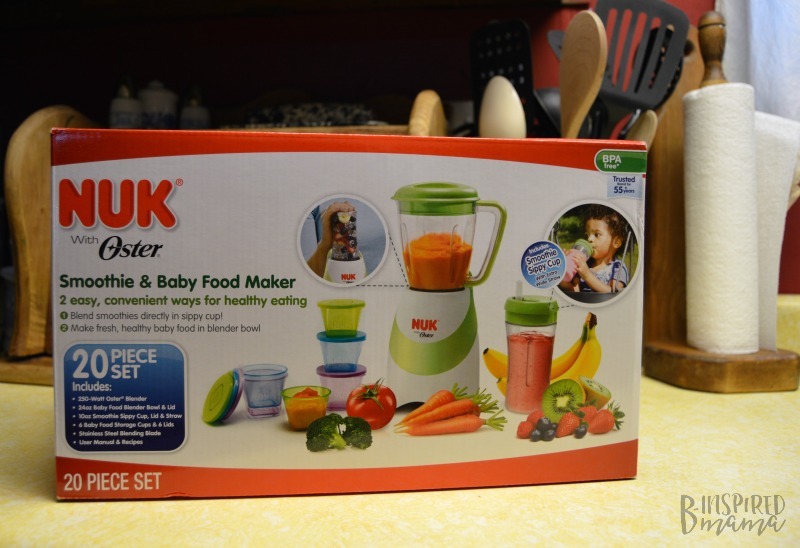 Just add the ingredients to the smoothie cup, screw the blender top onto it, flip it over onto the NUK blender, twist and blend ’til smooth. That’s it! 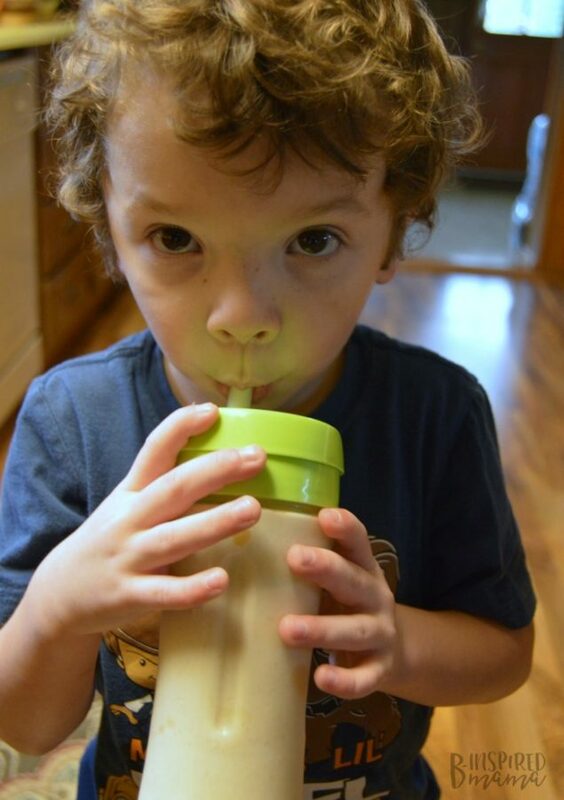 Remove the cup from the blender, take the blending lid off, screw on the sippy cup lid, and hand it on over to your kiddo. And look at this boy drinking it down. 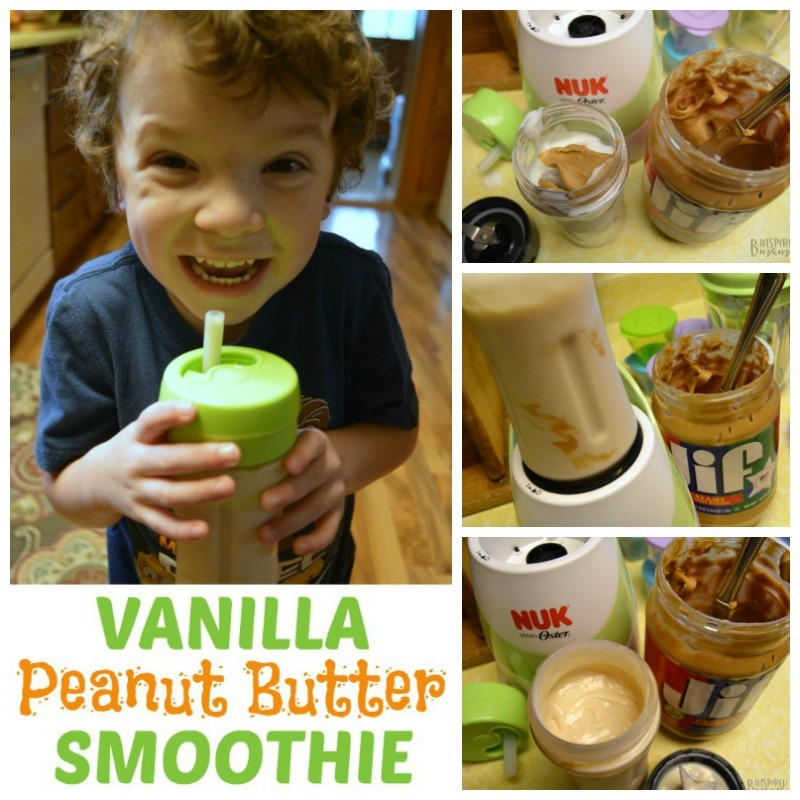 I’d call that Vanilla Peanut Butter Smoothie a mommy win, wouldn’t you?! 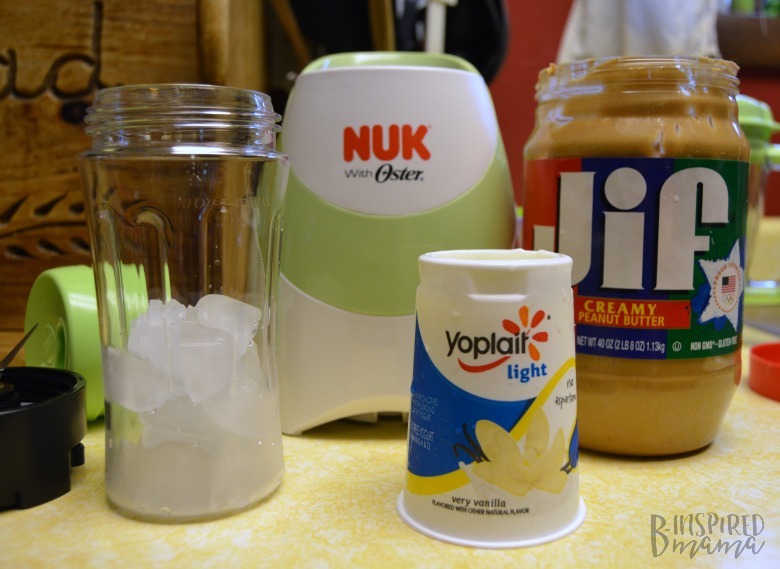 A super easy to make and deliciously creamy Vanilla Peanut Butter Smoothie recipe you're kids will love for a snack or a before-school breakfast! Add to cup and serve. Watch your little one slurp it up and smile!